This final True-Life Adventure would also appear to be one of the best, as we go into the South American jungle to observe the jaguar. Jungle Cat is more intimate than its kin, allowing individual animal characters to be developed. Central to the cast is a pair of jaguars (one ebony), whose fighting leads to love and, not long after, two babies (one resembling each parent). We don't have any reviews for Jungle Cat. 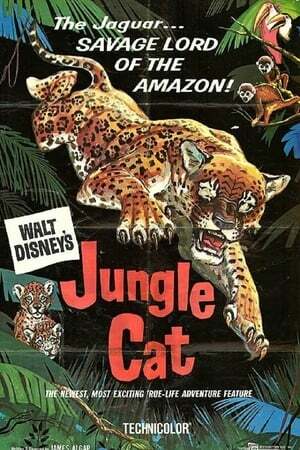 We don't have enough data to suggest any movies based on Jungle Cat. You can help by rating movies you've seen.